KOSMOS and Big L, the new dream team as far as fly fishing is concerned. 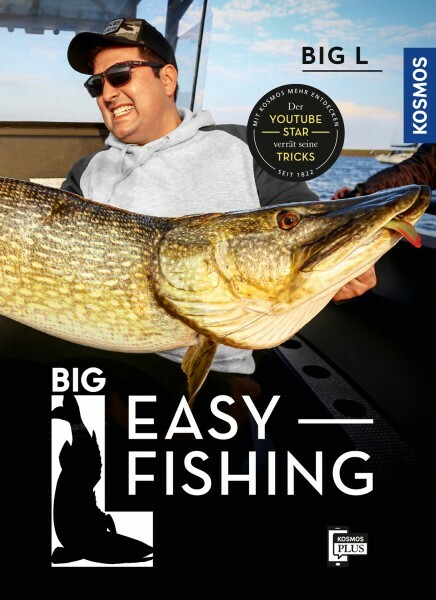 The beginner's course by the passionate fly fisher and popular YouTube star offers everything modern hobby fly fishers expect. In-depth knowledge of equipment, technique and tactics is presented in a relaxed layout with many photos, check boxes and tips. The attractive, clear design makes it easy to understand the most important information and start right away. The KOSMOS PLUS app offers additional video instructions and motivational challenge ideas, such as casting at a target with the fishing rod, which can then be continued on Facebook & Co. That's how the course connects reading, chatting and taking part in an interactive manner – really easy and lots of fun!